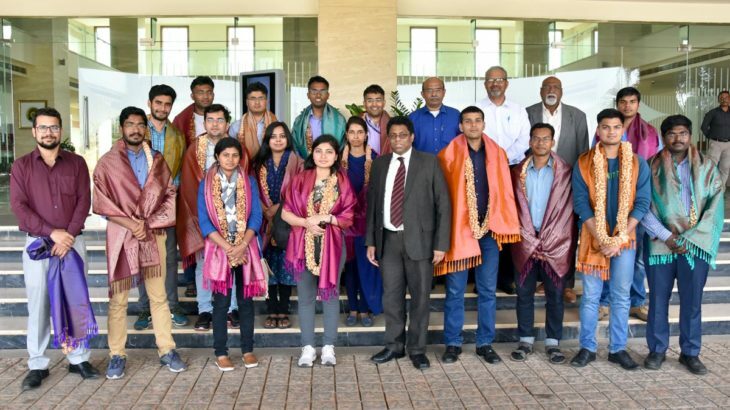 Sri City, January 11, 2019:- An eighteen member team of trainee officers of Indian Administrative Service (IAS) visited Sri City today on a study tour. Mr. Ravindra Sannareddy, Founder Managing Director, Sri City extended a warm welcome to the officers, and briefed them on the unique features of the integrated business city. They all evinced keen interest and quizzed on different aspects of the business city, including the activities of corporate social responsibility. Following the briefing session, they went round the mega industrial park and visited the production unit of Alstom. Impressed with the vastness and eco-friendly ambiance of mega industrial hub, they all appreciated the management of Sri City for its meticulous planing and implementation.